Super humidifier filters prevent unwanted minerals from entering your humidifier, keeping your humidified air clean and fresh. 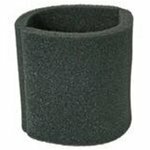 The Super 43-5014-6 Humidifier Wick Filter Replacement is a replacement humidifier wick filter that fits several humidifier models from Super. 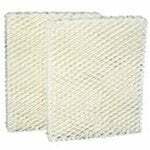 This evaporator pad measures approximately 7" x 9" x 1.5".